Brunch. Sunday’s social staple; a final foodie farewell to the weekend. But how to take your pick in Phuket’s satu­rated brunch market? Well, if high-end, high-quality, hillside brunch with a view is your niche, look no further than ‘The Great Nai Harn Sunday brunch’ at the five-star resort’s Cosmo restaurant. Leave room for the indulgent desserts. The view from the afternoon. Although service starts at 12:30, you’ll be forgiven if it’s some time before napkin reaches lap and the eating actually be­gins, as the unbeatable panoramic view from the restaurant, sweeping from – you guessed it – Nai Harn Beach, across Windmill viewpoint, past Koh Man and out into the big blue, demands your atten­tion and camera lens first. It’s difficult to envisage a better back­drop to brunch than this. Whether it’s your first rodeo or you’re something of a regular here, you’ll want to take the time to breathe the sea air and capture the view from the restaurant’s vantage point. When it’s time to eat, guests head first to the buffet to fill their plates high with seafood, sushi, cured meats, salad, cheeses and seasonal fruit. Think oysters on ice, beetroot-cured sea bass, dry-aged Australian rib eye. Think Roquefort, roasted baby artichoke and dragon fruit. All ingredients are fresh and local, from the seafood sourced from the nearby fisherman’s village, down to the herbs grown in the resort’s own garden. After the buffet comes the main course which guests order, when they’re ready, from the à la carte menu. 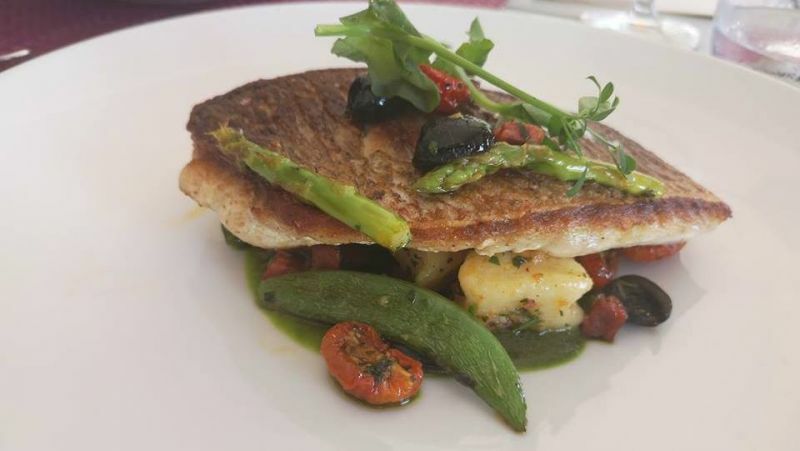 Four op­tions are on offer, including: slow-roasted lamb rump with baba ganoush, sun-dried tomato, salsa verde and black olive jus; and pan-seared red snapper, potato gnocchi, chorizo and sugar snap peas. Vegetarian and vegan options are also available on request. Once ordered, guests can expect the generous portion in front of them in 20 minutes or less. That’s what’s wonderful about this brunch: you set the pace. Got somewhere else to be? No problem. Order your main course pre-buffet. Want to eat and drink until service ends at three? Great. Take your time. 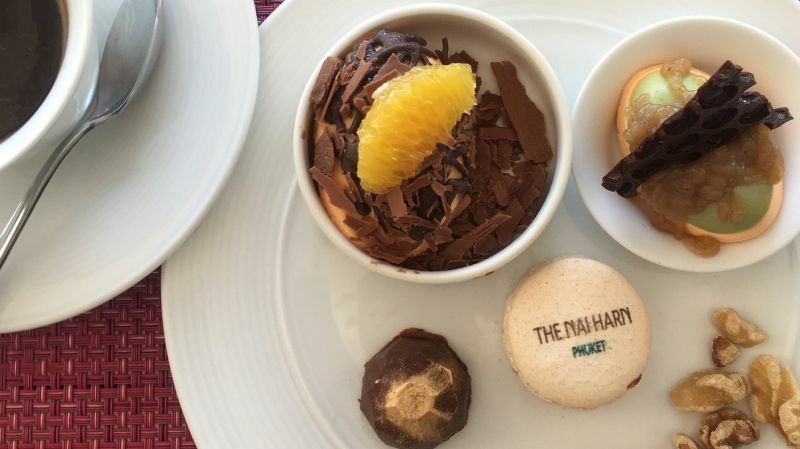 It’s back to the buffet for dessert with macaroons dusted with the resort’s name, delicate chocolate bites, ice cream and churros, to name a few. Mark’s experience in Michelin-starred restaurants, as well as his devotion to what he does, is evident in every dish that leaves his kitchen. The brunch is the culmination of three hard days’ prepara­tion; that’s alongside the restaurant’s everyday output of hundreds of break­fasts, pool-side snacks and more. If you make it here this weekend, take the time between courses to befriend the equally devoted and totally charming bartender, Salim Khoury, who supplies free-flow beverages throughout the af­ternoon. Former head barman at the American Bar at the Savoy Hotel in Lon­don, Salim might, if you’re lucky, regale you with tales of catering to movie stars and curating beverages for royalty. The Nai Harn’s Sunday offering is proof that brunch is so much more than the Instagram feeds of aerial-shot smashed avocado, oozing eggs and over­priced granola we’ve become accustomed to. It’s also an impressive showcase of what they offer the other six days of the week. 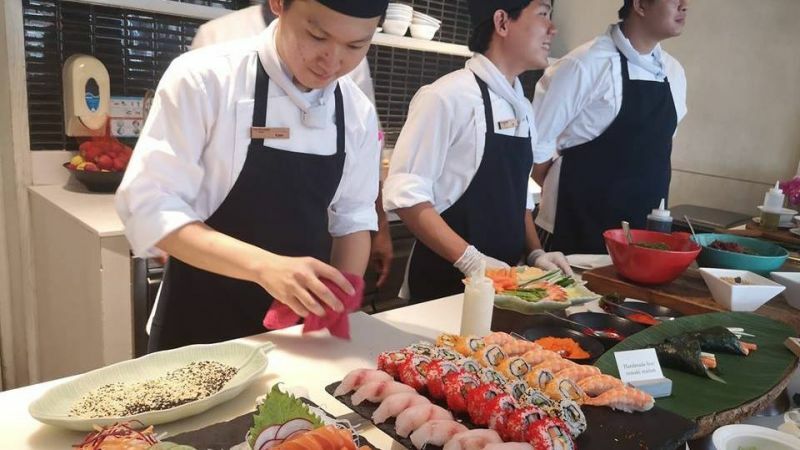 ‘The Great Nai Harn Sunday brunch’ is B5,500 per adult for food and free-flow beverages, B3,850 per adult for food only and B2,200 per child aged 6 to 18 for food and free-flow soft drinks. 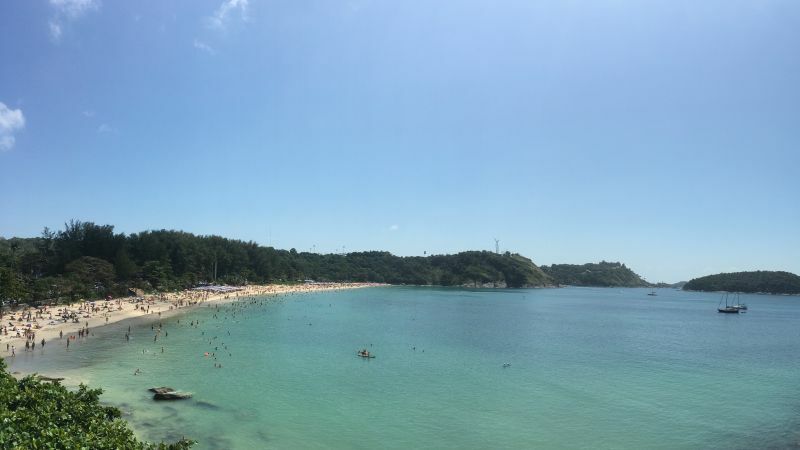 The Nai Harn is located at 23/3 Moo 1, Wiset Rd, Rawai.